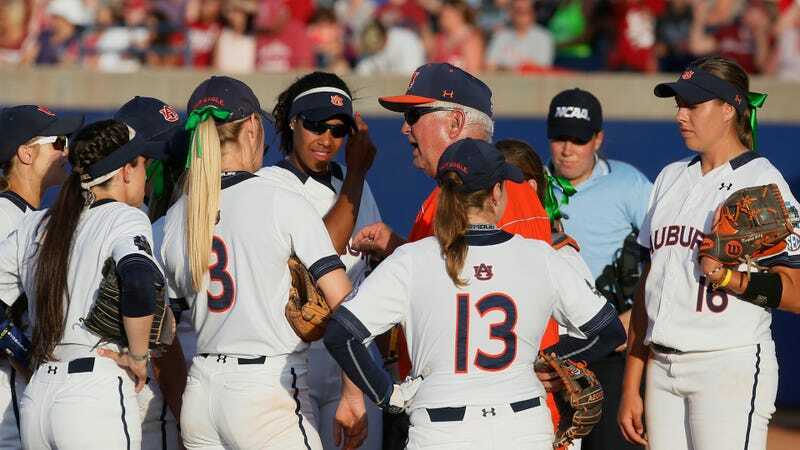 Former Auburn associate head softball coach Corey Myers—son of former head coach Clint Myers, who abruptly retired this summer—was banned from campus for having romantic relationships with multiple students whom he supervised or coached, according to a letter from the school’s Title IX office obtained by ESPN. Despite the decision to ban Myers and the detail in the letter above, the university did not find evidence that the former coach had “created a hostile environment” for the team, as was alleged in a Title IX complaint filed by a former player. She is currently appealing the decision. This is the second NCAA softball program from which Corey Myers has been banned, after Arizona State banned him for serving as a volunteer coach without proper clearance and for using the program to support personal business interests while his father was head coach there.